The Octagon returned to Denver, Colorado this past Saturday night for UFC Fight Night 139, and front and center was the city's native son Donald Cerrone, who put on a record-setting performance in the co-main event. 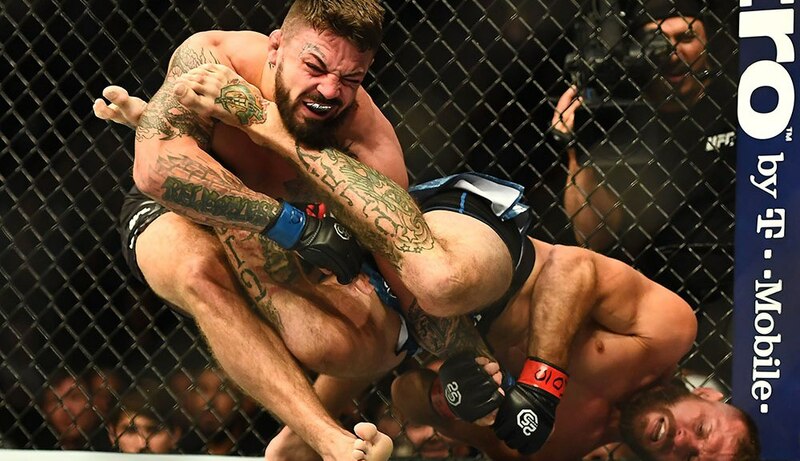 Despite being counted out by many because of his age and a recent string of poor results, Cerrone was able to get the tapout win over Mike Perry via armbar, becoming the UFC's all-time leader in wins (21) and finishes (15). The win earned Cerrone another $50,000 bonus (he's won a lot of those, too) and it sets him up nicely with a big fight in his next outing, which will come in the lightweight division, as he announced his return to 155 lbs in his post-fight interview. 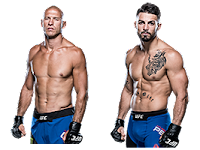 Although Cerrone had plenty of success as a welterweight with a 6-4 record, he mostly moved up to 170 pounds because he had lost two fights to former champion Rafael dos Anjos and at the time wouldn't be getting another title shot at 155 lbs. Although he failed in his bid to become a welterweight champion, we shouldn't forget how much success Cerrone had as a lightweight in the past. 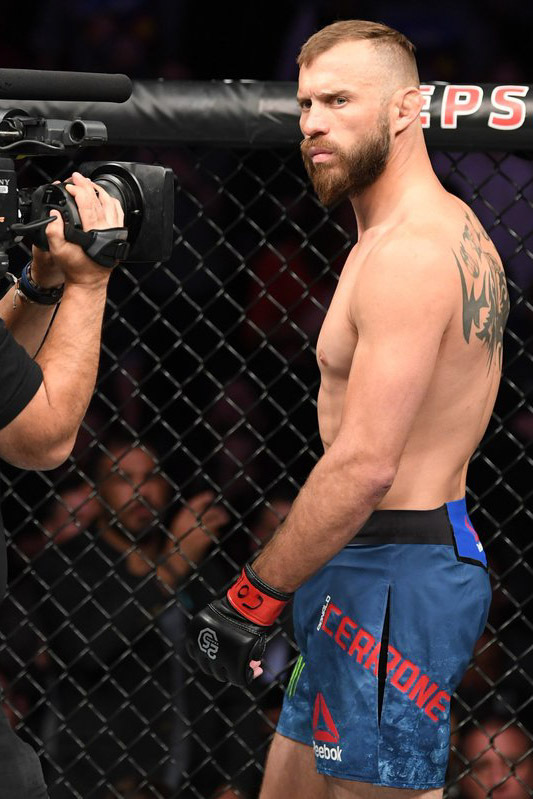 Now that he's at this own camp away from Team Jackson-Wink, and finally with some momentum behind him with two wins in his last three fights, now is a good time for Cerrone to move back down to 155 lbs and try again to win the lightweight title, now held by Khabib Nurmagomedov. Cerrone won't be getting a fight against Nurmagomedov immediately upon his return to 155, but with a couple of wins he could get there. 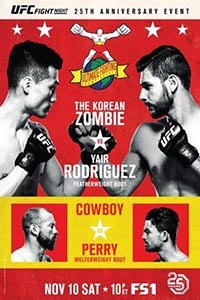 "Cowboy" is an insanely popular fighter and a secondary draw for the UFC, and the promotion can always count on him to put on a great fight for the fans. After the win over Perry, Cerrone told the media that the UFC has already came to him with an opponent at lightweight. The truth is, any matchup for Cerrone at either 155 or 170 is likely going to result in a great fight, just because that's what Cerrone does. However, there are a few opponents at lightweight in particular that make all sorts of sense. The first opponent that comes to mind is Justin Gaethje. Like Cerrone, Gaethje is a fighter who the UFC can always count on to put on an amazing fight. Anytime either of these guys steps into the cage there's a potential "Fight of the Night" candidate that is about to be witnessed, so putting them against each other makes a ton of sense. This fight would be perfect for the UFC's first event on ESPN+ this January in Brooklyn, in my opinion. 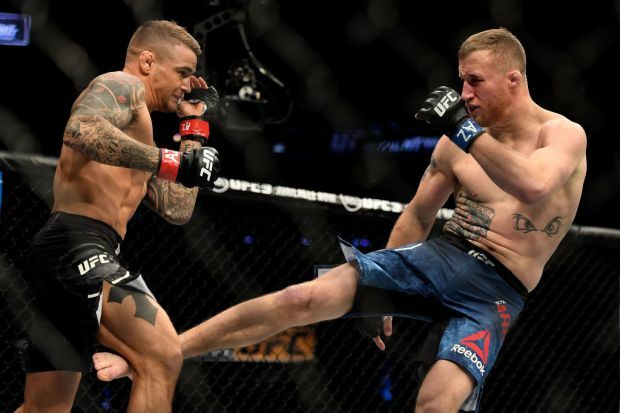 I couldn't think of a better fight to introduce the UFC to a potential new audience, and with Cerrone taking no damage in the Perry fight and Gaethje looking to return in the new year, the timing is perfect for this fight to take place. The next possible opponent is Conor McGregor. Although McGregor is a superstar and will likely want to headline another pay-per-view against a big name, his loss to Nurmagomedov limits the options the UFC has with him right now. The UFC has to rebuild him, and a fight against Cerrone, a guy who has been knocked out in the past, would be a good matchup for McGregor to rebuild his value. And for Cerrone, it would be a deserved big payday. The UFC could also potentially match Cerrone up with either Tony Ferguson or Dustin Poirier, both of who are waiting for title shots while Nurmagomedov remains temporarily suspended. 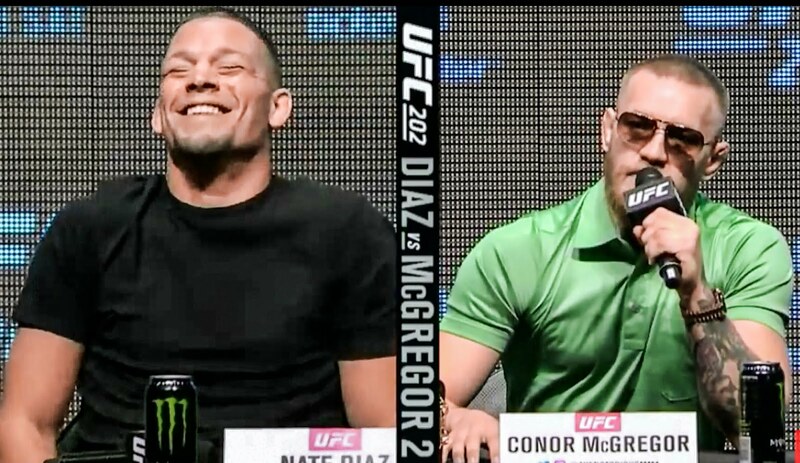 A possible rematch with Nate Diaz would also be a fine choice. I think Cerrone vs. Gaethje makes the most sense, but these other fights are all very viable options as well. Whoever it is, you know Donald Cerrone is going to be excited for his return to lightweight and put on an amazing fight for the fans. He always does. Now that he's back to his winning ways, the UFC has a good opportunity here to use Cerrone and his popularity to main event a Fight Night card on ESPN+ against a top contender in the lightweight division. He might not ever win the title, but he can certainly try, and the UFC can put together some awesome fights for the fans. It's nice to see Cerrone still having success in the Octagon at age 35, and the sport is better off for it.